Thinking is not the same as doing. Goals need action. 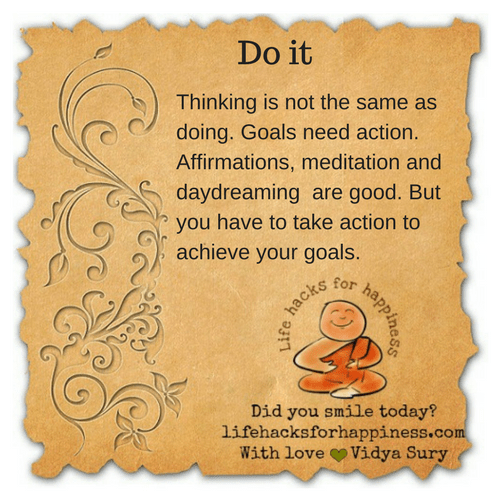 Affirmations, meditation and daydreaming are good. But you have to take action to achieve your goals. Do it.